This book is based on an important but complicated question: How have nonprofit human service organizations sustained themselves over time? It documents the organizational histories of pioneering nonprofits that have unique missions and significant longevity – in one case, 157 years. 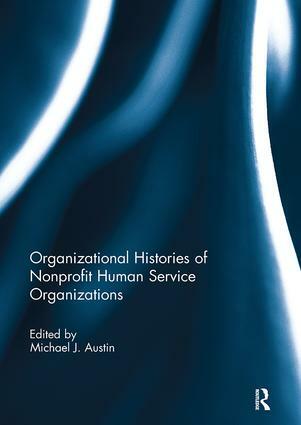 This volume provides one of the few documented histories of nonprofit human service organizations and includes a cross-case analysis of the major themes that help to expand our understanding of organizational lifecycles with respect to organizational growth and resilience. The major themes appear in the form of clusters of organizations that are exemplars of: leadership (experiences of either founding or long-term executive directors); internal operations (capacity to respond to changing community needs); and external relations (capacity to develop unique and/or sustained relationships with funding sources and/or donor populations). These cases also provide students of nonprofit management with opportunities for case-based learning that complements the more time-limited and episodic teaching cases which rarely provide learners with a longitudinal perspective of nonprofit organizations. This book was originally published as a special issue of the Journal of Evidence-Based Social Work.